If you haven’t read Part 1 of Purchasing An Apartment In New York City, I recommend doing so. In Part 1, I addressed Preparation. Understanding the market, financial requirements to purchase (from both a down payment and debt-to-income perspective), as well as your strengths and weaknesses as a buyer are essential to “winning” an apartment in NYC – and your game plan will position you to seize the opportunity when it arises. 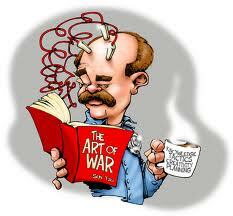 Ok, so maybe using a quote from Sun Tzu’s The Art of War is a bit harsh. As a buyer, the seller is not necessarily the “Enemy”, but purchasing an apartment is most definitely a competition – often with multiple teams playing the game. And, since we still find ourselves in a Sellers’ Market, sellers often have the upper hand when it comes to choosing the winning buyer and negotiating a deal. Considerations such as financial hardship, a growing family or a sudden move on the part of the seller – which often create an opportunity for the buyer – are unfortunately much less of a factor in this market, despite the sellers motivation for selling (whether urgent or not). It is, therefore, ever more important that we understand what the seller is “looking for” in a buyer. What’s the answer? Although, an alumni connection might help, and a “love letter” to the seller explaining how you will care for their apartment after they are gone is thoughtful, 9 times out of 10 it boils down to one word – Risk. 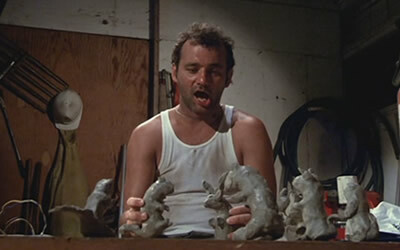 I will leave you with this image of Bill Murray playing with plastic explosives in order to “think like an animal”. Meet me back here for the conclusion of Understanding Your Opponent. In the next post I will further tackle risk mitigation by bringing the term Mortgage Contingency into the conversation. Posted in Uncategorized.Tagged #boardapplication, advice, apartment, banks, borrowing, Brokers, Brooklyn, buyers' market, buying an apartment, co-op, co-op board application, condo board application, Cooper & Cooper, Cooper & Cooper Real Estate, Davey-Gislason, down payment, Eirik, Eirik Davey-Gislason, Eirik Gislason, Happy Thanksgiving, lending, Manhattan, Mortgage contingency, New York City, New York City real estate, Purchasing, Queens, Real Estate, real estate new york, Real estate New York City scams bait and switch rentals cooper & cooper honesty ethical, Rentals, risk, risk assessment, risk mitigation, Sales, sellers' market, sun tzu, the art of war. Previous Post Happy Thanksgiving From My Family to Yours!